White Sage (Salvia Apiana) other names : Bee Sage , Sacred Sage , White Ceremonial Sage , White Sage. White sage is a perennially growing evergreen shrub that is indigenous to the south-western regions of the United States and the adjoining north-western areas of Mexico. This herb is mostly found growing in the wild in the scrub habitat in the coastal regions of Baja California and Southern California, located on the western peripheries of the Sonoran and Mojave deserts. White sage possibly derives its name from its ashen evergreen leaves, which contain oils and resins. The leaves of white sage emit a potent aroma when they are rubbed. The white to light lavender hued blooms of this plant attract bees, and this is described in the plant’s specific name - apiana. White sage bears many flower stalks, which measure anything between 1 meter and 1.3 meters (3.3 feet to 4.3 feet) in height. Occasionally, the flower stalks of white sage have a pinkish hue and they grow higher than the foliage, especially in spring. 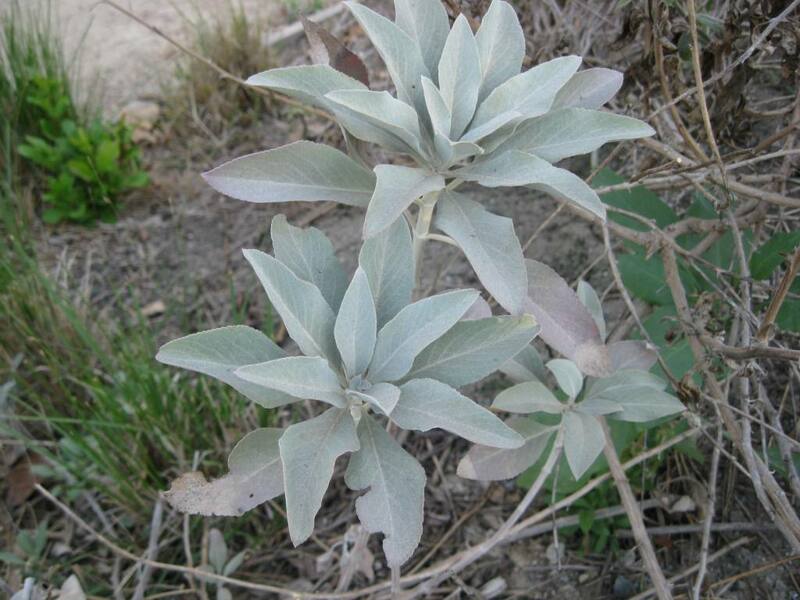 White sage is indigenous to a very small region in southern California as well as the north western areas of Mexico. This plant has a preference for the conditions found in this dry, coastal region, which has a sloping milieu on the fringe of the desert. The plants need deep watering only once in two weeks, especially when grown in a sandy soil having proper drainage and a sunny location. Although white sage can endure cool climatic conditions, the performance of the plant will be poor when grown in shade and humid conditions and if they are watered excessively. If you are living in areas where frosting is common, you can grow white sage in pots and keep them indoors. It is best to grow the white sage as annual plants in such areas. 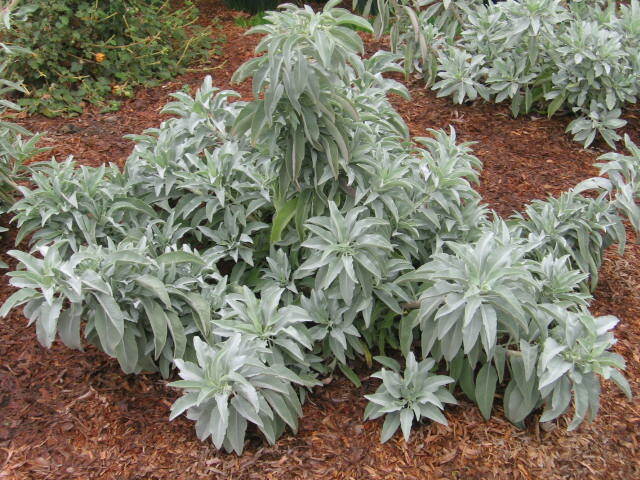 The ideal conditions for growing white sage include a dry climate. In fact, these plants may be killed if the winter months are too wet. 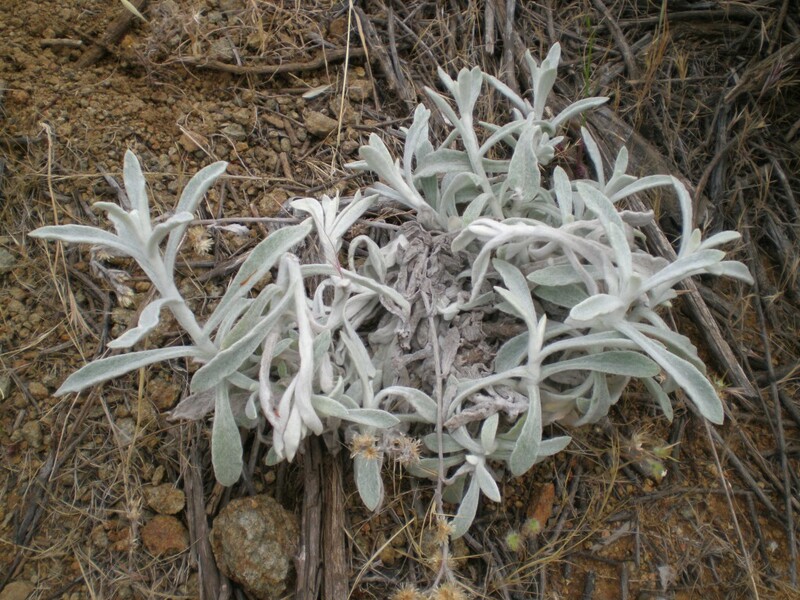 White sage is unable to endure colder climates and, hence, they die. Plants of this species can only tolerate low temperatures in the range of -5°C and -10°C. White sage seeds are available in health food stores and are usually used to prepare beverages - infusion or tea. White sage is an excellent bee plant. Plants belonging to this genus are seldom disturbed by browsing deer. Native American groups inhabiting the United States’ Pacific coast extensively use white sage. The seed of this plant formed the main ingredient of their staple food, locally known as "Pinole". People belonging to the Cahuilla collected the white sage seeds in large amounts. They pounded the seeds and blended it with wheat flour as well as sugar for preparing biscuits or gruel. Even the leaves and stems of white sage were consumed by members of the Chumash as well as other local tribes. For centuries, various native groups have been using the leaves of white sage in the form of a hair shampoo, hair straightener and hair dye. They crushed the leaves in water and applied the water to their hair. In addition, freshly crushed leaves were also used to make a poultice, which was applied to the armpits to get rid of foul odours. They also burnt the leaves and used them in the form of an incense to fumigate their homes following the outbreak of infectious ailments like measles. Women of the Cahuilla drank an infusion prepared from the roots of white sage after childbirth with a view to get rid of afterbirth problems as well as support internal healing. Cahuilla people also consumed white sage seeds for treating colds. Similarly, the Diegueno employed the white sage to prepare a tea for curing colds. These native tribes of America used the white sage leaves in various ways - they smoked the leaves, used them to prepare an herbal tea and also employed the leaves in sweathouses for treating colds. Members of the Diegueno tribe used the leaves of white sage in the form of a shampoo to cleanse their hair as well as to prevent them from becoming grey untimely. Some tribes also rubbed the leaves against their body or applied the crushed leaves to their body to get rid of any foul smell. In fact, men of the Cahuilla tribe usually did this prior to venturing out for hunting. They also burnt the dry white sage leaves and the smoke was used in the form of an incense during purification rituals. Several native Indian tribes in America hold the white sage in high esteem. This herb is also cherished by many other cultures across the world even to this day. White sage is especially valued for its tender feminine attributes. White sage is an aromatic herb that has been widely used over the centuries in the form of an incenses as well as in smudge pots during ceremonies. Hence, this herb is commonly also known as the white ceremonial sage. Some people also burnt the white sage leaves to fumigate their houses or dwellings following any contagious disease and also for purifying the air during ailments. When drunk in the form of an infusion or tea, white sage offers potent anti-inflammatory properties. White sage tea may also aid in reducing the symptoms of ulcer. White sage seeds are used for culinary purposes, either raw or after cooking. Native American tribes also mixed the seeds with cereals like wheat or oats, toasted them and subsequently ground them into a fine powder for consuming it dry. Alternatively, they also soaked the white sage seeds in water or fruit juice for the night and drunk the liquid or consumed it along with cereals. Sometimes, the seeds were also used in the form of a spice. On the other hand, white sage leaves are consumed after cooking. The leaves are also used to add flavour to seed mushes. Often, people also consume the young stalks of white sage raw. The tops of ripened or mature stems are peeled and consumed raw.